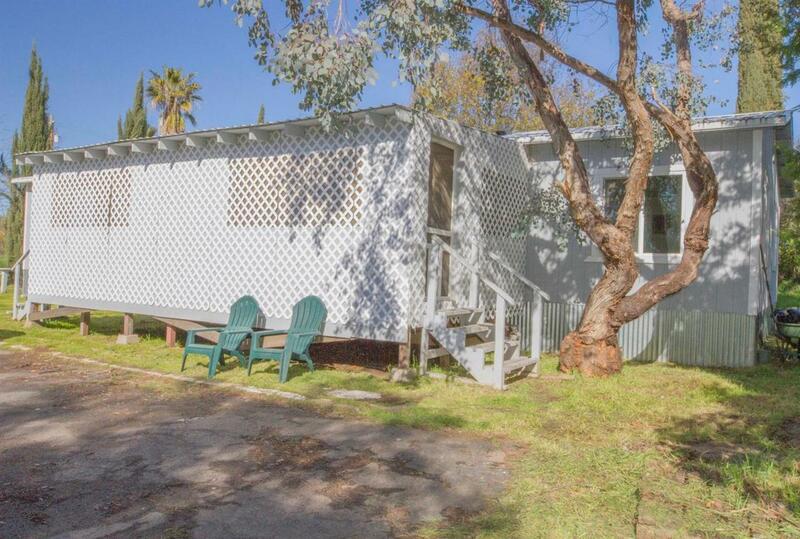 Beautifully refurbished Manufactured Home on 2+ acres. This home has been completely updated, and is in move in condition. The location is within an hour of most of the Central Valley and the Sequoia/Kings Canyon Park entrance. This home boasts several upgrades, including, but not limited to interior sheet rock, appliances, recessed lighting, pex piping, spacious cabinets, granite counter tops, newer flooring, propane tank-less water heater, and more. The land is fairly flat, with mature oak, cedar, olive and various fruit trees. There is an enchanting seasonal creek that runs through the property, and plenty of room to develop your hobby farm or mini ranch. Come see this beauty while it lasts. Bed ct is different than tax records, buyer to verify if important.